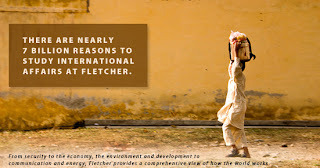 At the Fletcher School of Law and Diplomacy, we met in late August of 1993. The week is referred to as Commencement. I was a seasoned Bostonian and New Englander. He was a Californian, freshly arrived in Boston. My cousin was our advocate. He had told my parents: "they have so much in common. They go to cafes and discuss politics and history. They also study there together." Indeed, my future husband courted me over political scenarios. We were trained to imagine future scenarios, build solid foreign policy, comment on current events and train negotiation skills. We studied in the mid 90s, when the world was rather still. It was the pre-9/11 world, with only the rise of political Islam and the threatening separatist movements that we were observing. We observed technological progress with intrigue and forecasting eyes. We called it the internet highway in those days! 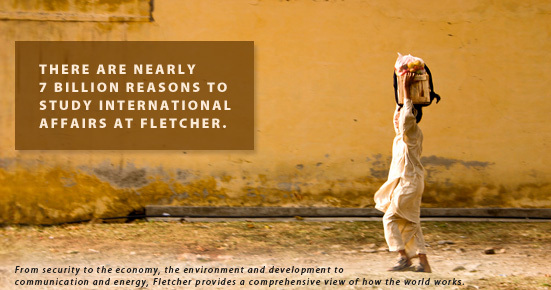 With 9/11, I did wonder what it would have been for me to be a student at the Fletcher School, analyzing the events, looking at its background and envisioning the future scenarios. 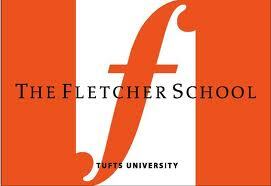 But, today, more than any other time, with the Tunisian and the Egyptian Revolutions occurring, I wonder what turn the classroom lectures at the Fletcher School have taken, what ideas and debates the students and professors are having in the seminars. The non-accidental meeting happened in the lift of the Fletcher School.A handsome Afghan with his Syrian friend started singing Amr Diab's melodies to the surprise of the Lebanese young woman who loved Madonna.The rest is history being made in classrooms,in Newberry St and with groups of common friends,blessing the beautiful love story.